The Seychelles International Business Company, shortly known as the IBC, is preferred by foreign business persons interested in setting up companies in an offshore destination such as the insular state, which is part of the African Union. There are numerous advantages which come with an IBC formation in Seychelles, like an attractive taxation system and not having to submit financial reports publicly. In matters of documents for registration of an IBC offshore in Seychelles, we suggest you ask for advice and recommendations from our team of company formation agents in Seychelles. Our consultants are specialized in varied forms of businesses in Seychelles, available for local and foreign entrepreneurs who want to establish their operations on the market. What are the advantages of an IBC offshore company in Seychelles? The structure of a Seychelles IBC is a flexible one and comes with varied attractive benefits for investors from overseas. For instance, an IBC offshore company in Seychelles, with a stable economy, needs no minimum share capital, it is subject to low government fees, the assets are protected, the financial records are not available for public access, and there are no corporate taxes. Additionally, a government fee of about $100 should be considered when such entity is registered. Even more, an IBC in Seychelles offers easy-going policies on reporting interest revenues to the tax authorities from abroad. Please consider that the main condition for registering an IBC in Seychelles is to carry out its businesses outside the islands. • an IBC in Seychelles can own airplanes or boats registered here. An offshore jurisdiction like Seychelles is suitable for numerous entrepreneurs worldwide interested in merging their businesses in an insular state which is considered a tax haven. First of all, we remind that the owners of an IBC in Seychelles have complete privacy of their identity, as their personal information cannot be displayed publicly. Regarding the documents necessary for an IBC in Seychelles, one should keep in mind that the Registrar Companies will only solicit the Articles of Association, and the Register of the Directors which are held at the offices of the Registered Agent, in complete privacy. We mention that the Financial Investigation Authority in Seychelles may request disclosing the information about particular IBCs in the state if an investigation takes place. applying for the necessary business licenses, if specific activities, such as financial ones, will be undertaken. Our company registration agents in Seychelles can guide you through the incorporation of an IBC offshore company. What other types of companies can I open in Seychelles? • foundations which are legal entities used for offering financial services in Seychelles. Can I receive virtual office services in Seychelles? Yes, you may get in touch with our company formation representatives in Seychelles for information about how you can receive virtual office services on request. A foreign entrepreneur who does not want to set up a business and a traditional office might be interested in purchasing virtual office packages in Seychelles and benefit from a notable business address, mail and correspondence, conference room for business meetings, phone calls and fax forwarding on request. Instead of renting or buying an office space for a business in Dubai, an investor from abroad can decide on buying virtual office services in Seychelles. How can I open a bank account in Seychelles? Foreign investors in Seychelles can easily open a bank account for a company in Seychelles if the requirements in terms of documents are respected. The company’s documents must be provided and, plus a letter of recommendation signed by another bank from the country of origin. It is good to know that a bank account in Seychelles is ready in a few working days, and in the case of an account for an offshore company in Seychelles, the personal data is not available to public disclosure. Our team of advisors can offer in-depth information and assistance for opening a bank account in Seychelles. Entrepreneurs from abroad who are interested in a fast start of the business on the market should know that they have the possibility of buying a ready-made company in Seychelles. Also known as a shelf company, such type of firm is ready to activate on the market, as soon as the ownership transfer takes place. A shelf company in Seychelles can also be used as an offshore company and the main advantage is that there is no need to wait for the incorporation procedure, as all the aspects in this matter are settled. In other words, if you would like to set up a business in Seychelles in a fast manner, you can purchase a shelf company in Seychelles. In order to legally perform the activities in Seychelles, the ready-made company must be re-registered with the new owners of the Companies House in Seychelles. Investors looking to open an offshore company in Seychelles might consider a shelf company as a proper option for their future operations. Our advisors are at your disposal with support for such kind of acquisition. One of the most employed types of companies in Seychelles is the anonymous company. This business form can be employed by all types of investors and its name is given by the fact that it guarantees complete privacy to its founders. The anonymous company is the most suitable business entity for those interested in establishing offshore companies in Seychelles. It can also be used for trading purposes. Opposed to the anonymous company is the special licensed company, shortly known as the CSL. This business form can only complete onshore activities and is also suitable for investment purposes. The incorporation requirements for a Seychelles CSL company are more extensive at it required a minimum number of 2 shareholders, 2 directors, and a secretary. Foreign companies can also operate in Seychelles through branch offices and subsidiaries. The most important difference between these two types of structures resides in the liability of the parent company on the satellite business in Seychelles. If in the case of the branch office, the foreign company will assume total responsibility for the branch office’s debts and obligations, in the case of the subsidiary, the Seychelles company will be an independent business entity. Our company formation experts in Seychelles can help those interested in setting up branches or subsidiaries here. 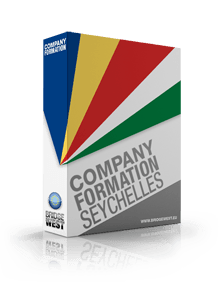 Before choosing the type of company, it should be noted that the company formation requirements in Seychelles are the same in terms of share capital. However, the minimum number of shareholders are two in the case of the limited liability company and one when it comes to the IBC. The company must also have a secretary and at least two directors who must be natural persons, no matter the type of company. • Companies Register, in the case of limited liability companies. Another important requirement, no matter the chosen entity, is for the company to have a registered address in Seychelles. Also, it is mandatory for foreigners to appoint a local registered agent in order to complete the incorporation procedure with the local authorities. We act as registered agents in Seychelles and can also provide you with virtual office services for your future company. Our company registration consultants can assist with the incorporation process of a Seychelles company. One of the greatest advantages of opening a company in Seychelles, no matter if we are talking about an onshore or offshore company, is related to the share capital requirements. The local legislation does not impose any paid-up or subscribed share capital for registering a business, however, the business owner is required to determine the amount of money he or she will need to start doing business here. An important aspect which needs to be considered is that an offshore company cannot issue bearer shares. The only shares which can be issued are registered shares which can have voting rights attached to them. Non-voting shares can also be issued. Regarded as a tax haven, Seychelles represents a great company incorporation destination from a taxation point of view. Even if most business people are inclined to think Seychelles is a zero-tax destination, in fact, the authorities here have a clear business taxation system set in place. If offshore companies are imposed with a 0% rate on corporate income, onshore companies will be subject to a 33% corporate tax. However, special license companies benefit from a lower tax rate which is set at 1.5%. Seychelles companies are not imposed with capital gains taxes or stamp duties. Another particularity of Seychelles is that it has concluded several double tax agreementswhich favor foreign investors opening onshore companies in the insular states. Seychelles is an independent state, part of the British Commonwealth, and has one of the fastest foreign company registration processes worldwide, through the IBC offshore companies. With a prolific development in numerous industries, the government in Seychelles is open to all kinds of investments in the insular state. As it is known, Seychelles is an important transit point for trading purposes between Asia and Africa. The entrepreneurial framework in the country made the government focus the attention on the overall regulatory productivity, eliminating several taxes and boosting transparency in the business background. Since 2015, Seychelles is known as a “high income” state, according to the World Bank classification. The easy ways of registering businesses in the archipelago state made numerous investors implement and develop their activities in a wide range of performant industries. For a suitable understanding of how a foreigner can open an IBC offshore company in Seychelles, you may address your questions to our team of company formation agents in Seychelles. Please contact us for details in this matter.